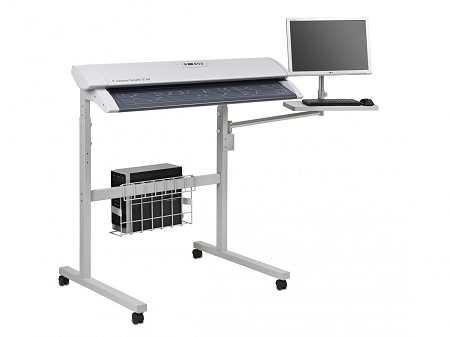 Flex/SC42C MFP PRO System Includes:Flex/SC42C PRO scanner and Repro Stand SFP (single foot print) system rack, document return guide, Rocket Scanner Controller (2GB of RAM, 250 GB hard drive, USB3. Integrated 10/100/1000 Gigabit Ethernet, Full Size Keyboard & Mouse, Integrated 19" Widescreen Flat Panel Display, Windows 7). SmartWorks Pro Scan & Copy, 2-year on-site warranty. Professional MFP Solution for wide format Color and Monochrome imaging. Ideal for technical and graphics documents for CAD, Architecture, Engineering & Manufacturing, Construction, Utilities and Energy companies, Graphic Design Studios, Mapping and GIS. 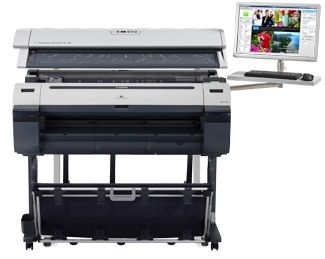 The compact Colortrac Flex SC 42c includes the REVOLUTIONARY SmartLF SC 42c scanner from Colortrac. 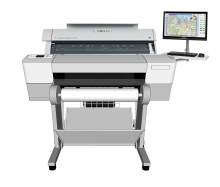 With higher quality imaging, higher scanning speed and Super-Speed data transfer, the SmartLF SC Series of scanners provides fast, high quality scans or copies of wide format maps, site plans, engineering drawings, blueprints, architectural renderings and many other technical documents.